We partner with forward thinking clients to drive results through digital tools and design. We’re a company that combines the creativity and swiftness of a digital agency with the technical know-how of an IT company. Think of us as a multi-disciplinary team of consultants that are hands-on, practical, and focused on results. Our focus is to help your business increase workflow efficiency by creating and connecting digital tools to your daily operations. We work through short cycles of development starting with the smallest thing your business can do to achieve the most impact with the least cost and risk. We’ll work with you to build digital capabilities your business needs to meet your goals. We create digital tools and create designs that fix real-world problems in an efficient and money-saving manner. We evaluate and optimize results. We listen, observe, design, and develop. At the end of the day you’re here for results. Our past has delivered that. Lets chat about your needs. We are active for Federal Work. 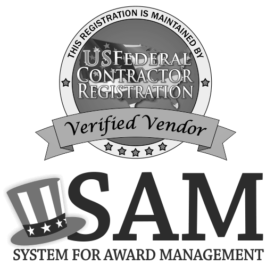 We are an active participant in SAM/CAGE code system. © 2012-2018 Tideshift Media | All Rights Reserved.